Marie-Thérèse was born at the Palace of Versailles on 19 December 1778 as the daughter of King Louis XVI of France and his wife, Marie Antoinette (Maria Antonia of Austria). 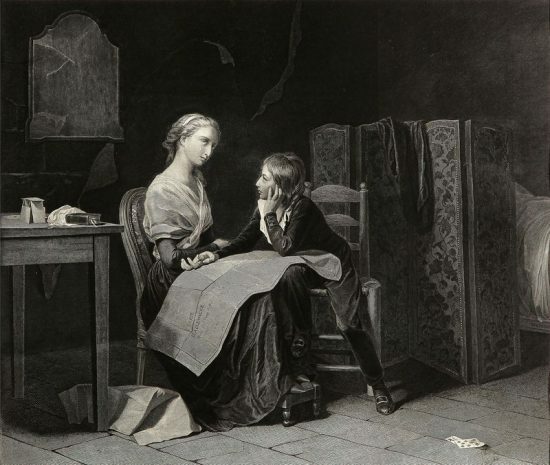 Her birth came seven years after her parents’ marriage and her gender was a disappointment, though not for Marie-Antoinette who said, “Poor little one, you are not desired, but you will be none the less dear to me! A son would have belonged to the state—you will belong to me.” She was baptised on the day of her birth. 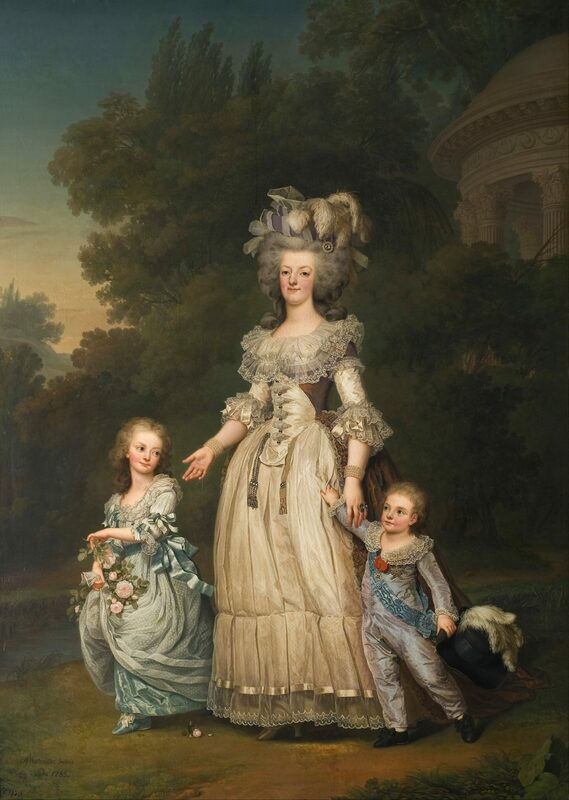 She was later joined by three siblings, Louis Joseph in 1781, Louis Charles in 1785 and Sophie in 1786. Her elder brother and younger sister would both die in childhood. As Marie-Thérèse grew up, tensions were already growing, which would eventually lead to the French Revolution. She was 11 years old when the Bastille was stormed on 14 July 1789. Several family members were sent abroad for their safety. On 5 October the family was forced to move the Tuileries Palace. A plan was formed to flee the country, but the family were intercepted at Varennes and escorted back to Paris. In 1792 her father was deposed, and he was executed on 21 January 1793 on the guillotine. The rest of the family were imprisoned in the Temple. At first, Marie-Thérèse was with her mother, brother and aunt Madame Élisabeth, but on 3 July 1793, her brother was forcibly removed from them. Her mother was taken to the Conciergerie one month later, and her aunt was removed in May the following year. Her mother was executed on 16 October 1793, and her aunt was executed on 10 May 1794, a day after being removed from the Temple. Her brother died while imprisoned, possibly from neglect or disease caused by neglect. Marie-Thérèse was informed of his death, and also of the deaths of mother and aunt in August 1795. Marie-Thérèse broke down sobbing, in anguish. She was also told that she would be leaving France to live with her mother’s family in Vienna. She responded that she would have preferred to stay in the country where her family died and felt little affection for her Austrian family, whom she felt had abandoned her mother. In the evening of 18 December 1795 Marie-Thérèse finally left the Temple as the sole survivor. She had been imprisoned for three years, four months and five days. 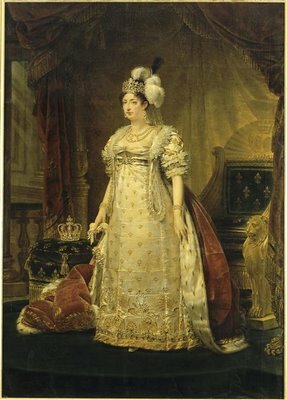 She arrived in Vienna on 9 January 1796, initially living at the Hofburg. She was expected to make a match with Archduke Karl, and she was expected to be more Austrian. She refused to wear anything other than black mourning clothes and was seen as uncooperative. Marie-Thérèse had hoped to marry the Duke of Angoûleme, her cousin and also her parents’ choice. They married on 10 June 1799. 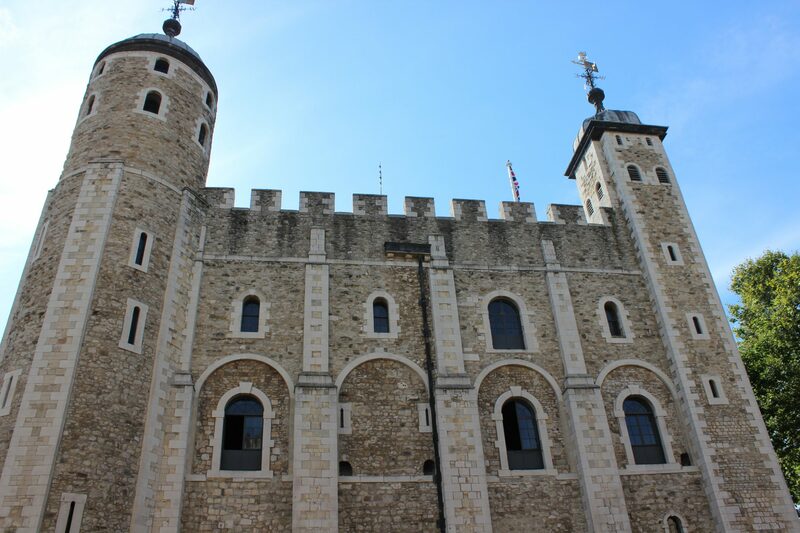 She received a ring that her father had been wearing as he climbed the scaffold. The ring was engraved with the initials “M.A.A.A”, for Marie Antoinette Archduchesse d’Autriche and the date 16 May 1770. Marie-Thérèse had “cried tears of joy”. They lived in several places, including the United Kingdom. With the abdication of Napoleon and his later defeat, her uncle became King under the Bourbon Restoration as Louis XVIII. Marie-Thérèse returned to France and visited the site where her brother had died and also the Madeleine Cemetery where her parents had been interred. The remains were exhumed in 1815 and re-interred in the Basilica of St. Denis. Louis XVIII died on 16 September 1824 and was succeeded by her father-in-law as Charles X. She was now styled as Madame la Dauphine as the wife of the heir to the throne. On 2 August 1830 Charles X abdicated in favour of his son, Marie-Thérèse’s husband, who in turn abdicated in favour of his nephew, Henry, the posthumous son of his brother Charles Ferdinand, Duke of Berry, 20 minutes later. 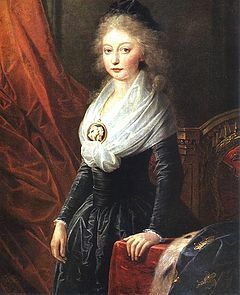 Marie-Thérèse was thus technically Queen of France for 20 minutes. She left behind memoirs of her life, appropriately titled “The Ruin of a Princess“. Such a sad story. It must have been so terrifying during her imprisonment as her whole family was slowly taken from her and then sent off to a foreign land to people she barely knew. Such horrors endured at such a young age would leave most people screaming and gibbering. 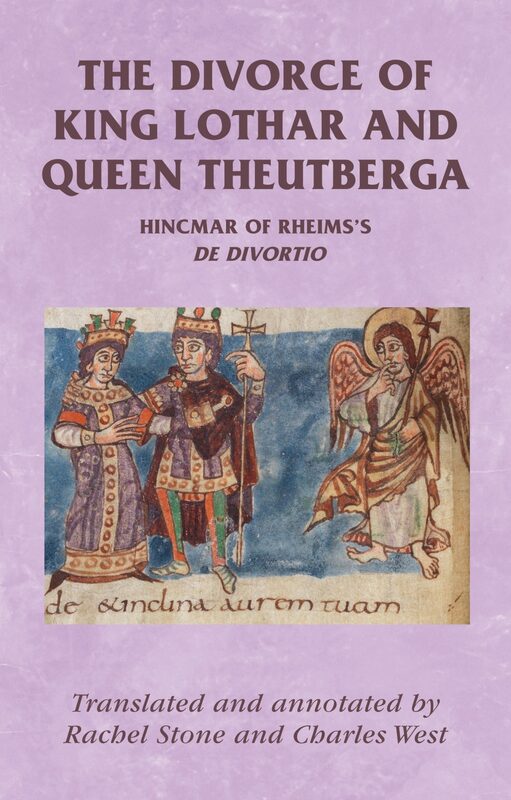 I doubt she was ever entirely happy after her release from the Temple, but the very fact that she survived is a testament to the courage of the last truly royal Queen of France.